Decided to try Spec Tape pressure tape after seeing some recommendations on-line. 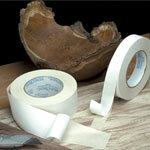 This tape sticks really well, better than most double sided tape I've tried. Been using a lot of it for template routing and haven't seen it slip yet. 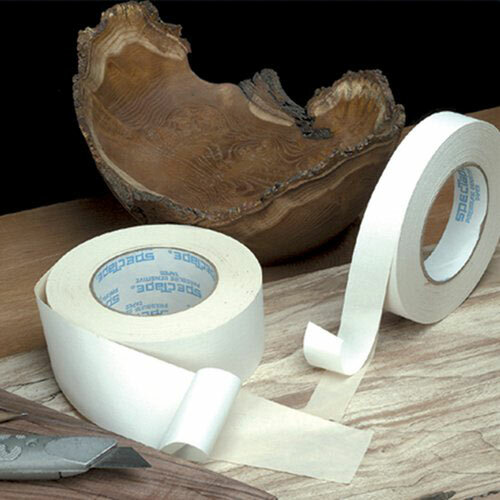 THE best double-sided tape! Easy to remove paper backing, extreme strong hold. The more you use it the more uses you will find! Today I needed to cut small parts on a sled on my bandsaw. Didn't want the small pieces to fly away! Applied a small piece of tape on the off cut side - worked like a charm! Always use it for pattern jigs with my routers. WOODWORKER? YOU NEED THIS!